Arthur's Birthday is even more fun with learning activities and a host of clickables. Arthur™ is having a big birthday party on Saturday, and all his friends are invited. What will he do when he finds out that Muffy is having a party at the same time? Living Books brings you this favorite interactive storybook in a format that's engaging for kids of all ages. 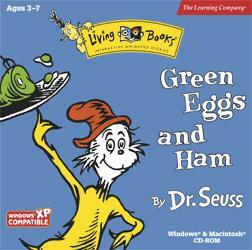 Dr. Seuss's ABC is the first Dr. Seuss Living Book and it was the tenth Living Books PC CD-Rom from 1995, and now it was based on the 1963 story-book.